CLEVELAND, OH (October 2, 2018) – BoxCast today announced it has completed the integration of Telestream Wirecast with the BoxCast Platform. Telestream Wirecast is the award-winning live video production software for Mac or Windows that has earned industry acclaim as the easiest way to create high quality live video webcasts from multiple sources, including webcams and screen shares, to using multiple cameras, graphics, and media for live events. Using BoxCast's RTMP video ingestion option, simply select BoxCast as a streaming destination right from within Wirecast. This allows Wirecast to stream directly to BoxCast. It will utilize the computer for encoding the video and audio, and it will transmit over RTMP. This can be used with either a Single-Use RTMP or Static RTMP Channel. However in both cases, the setup must be done within 10 minutes of a scheduled broadcast. Another way to stream from Wirecast is to send the Wirecast program output to a secondary HDMI or SDI output that is plugged into the BoxCaster or BoxCaster Pro. The BoxCaster's hardware encoding relieves your computer from the task of encoding the video and audio in addition to taking advantage of specially-designed communication protocols to optimize your available network connectivity. BoxCast integration with Wirecast is available immediately. 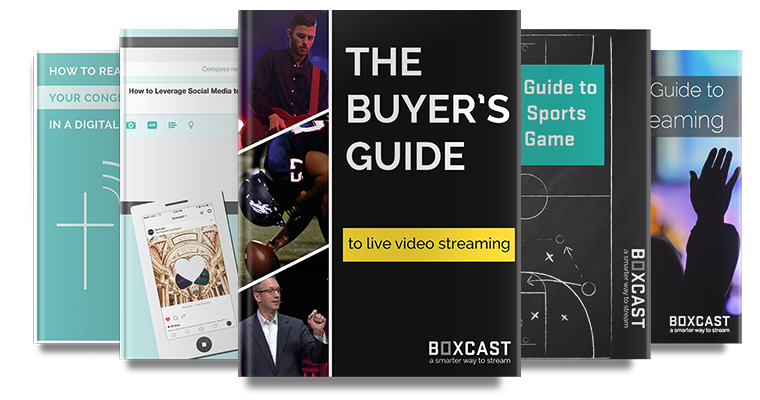 BoxCast is a complete, easy-to-use live video streaming platform, comprised of hardware, software and backend services, that enables organizations of any size to stream their content flawlessly. Launched in 2013, BoxCast is headquartered in Cleveland, OH. Learn more at www.boxcast.com.